Four pieces to get you into classical music right now | What Hi-Fi? If you’re new to classical music, or even to download services for high-resolution audio in general, the volume of works on offer can boggle your mind. Where do you start? Do you dive straight in and feel the sweat gather on your brow as you struggle through some heavy Shostakovich, or do you start with the familiar – a film score, perhaps? And once you’ve started, where do you go from there? “Getting into classical” isn’t like listening to pop songs. It doesn’t go in by osmosis: your mates aren’t talking about that amazing clavichord maestro topping the hit-parade, and you don’t find a lot of Tchaikovsky at T in the Park. You have to seek it out, and that can be daunting. primephonic, the download service for classical music, knows this. And that’s why its curators have put together an extensive editorial section to help guide you through your first steps (or to help experienced listeners deepen their knowledge). Thanks to its amazing music-industry connections, primephonic is able to collar the best engineers, producers, conductors and artists to speak exclusively about the music they love, the music they make and the music they want you to listen to. They’re all audiophiles too – so you know that when they say something sounds good, they aren’t messing about. You’ll find features on recording techniques and the impact of room acoustics on performance and composition, you’ll get a look inside the studio during the recording of a film score, you’ll get access to interviews, regular free-to-download samplers and more. Crucially, all the features you’ll find to read are backed up by carefully selected pieces to listen to – so you’ll always have music to explore after you’ve read them. No more puffing your cheeks out and wondering “what now?”. And it isn’t stuffy, highbrow, nose-in-the-air music either: delve into the feature archive and you’ll find information and listening suggestions that showcase Disney films, 3D recording techniques, horror stories, modern classical, international composers… it really is all about the love of great music. 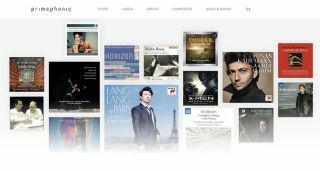 Visit this page and enter the code WHSONY when you check-out and you’ll be able to download a collection of classical masterpieces with 10% discount. Offer valid until Thursday 30th June.